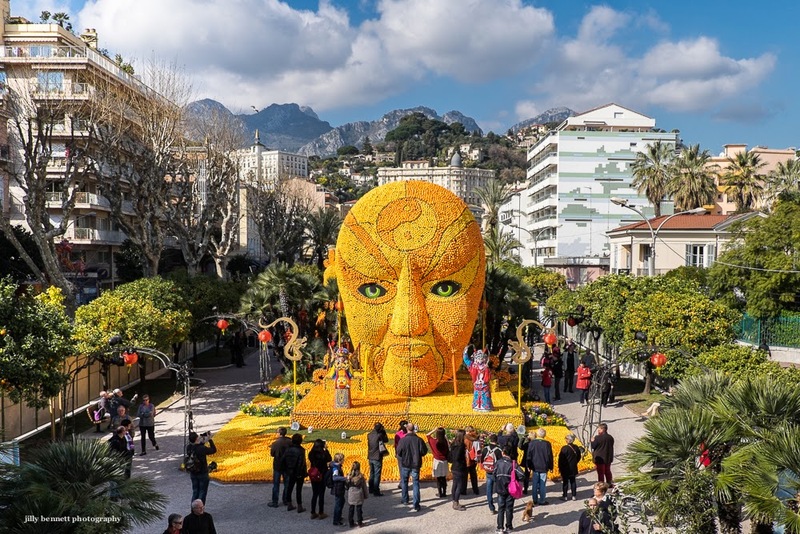 A replica of a mask from the Opera of Beijing, made of oranges and lemons, in the Jardin Bioves, Menton. Une réplique d'un masque de l'opéra de Beijing composé d'oranges et de citrons, dans le Jardin Biovès, Menton. The scale of it is amazing.